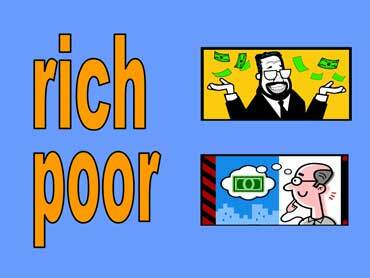 The opposite of rich is poor. The first man is rich. The second man is poor. 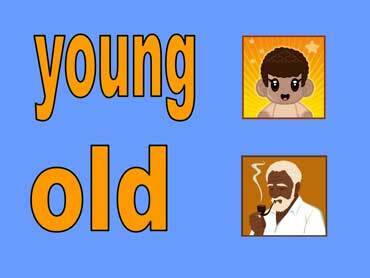 The first person is young. The second person is old. 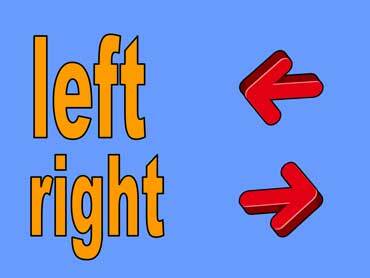 The opposite of left is right. The first arrow points left. The second arrow points right.